The DSP is committed to equipping learners with relevant skills to build a bright future for themselves. Robotics is highly relevant in this process. Through a hands-on approach it helps learners take ownership of their learning process. They challenge convention, create solutions and innovate for the future. Our pedagogical concept starts in the Kindergarten and runs like a golden thread right through to High School level. During November 2018 we hosted our very first Robotic Challenge where work from Grade 1 and 2 learners was on display, Grade 3 and 4 learners showcased their space stations and Grade 5 to 6 learners battled it out by programming their robots to sort and secure food resources. Since its inception in 2010 the robotics programme at the DSP has gone from strength to strength. The DSP has represented South Africa at the International World Robot Olympiad in Malaysia, India, Russia and has been invited to Costa Rica in 2017. Since 2010 our learners received more than 25 significant awards for their design and programming skills as well as teamwork. “Robotics is an extremely fascinating and future-relevant technology which has many areas of application and opens the doors to outstanding career prospects for our learners.” says Wolfgang Selzer, Chairman of the DSP Governing Body. Three major factors contribute to the success of robotics at the DSP. Firstly the school is in the fortunate position to have partnered with BOSCH, who have generously tailored a Lego robotics laboratory, a first of its kind in Africa, to the benefit of our learners. “The DSP has shown great innovation and forward-thinking by fully integrating robotics into the school’s curriculum – the first dedicated lab of its kind on the continent. The success of the learners’ teams at both national and international competitions speak for themselves! We are honoured to support the DSP robotics lab.” confirms Dr Markus Thill, President of Bosch, Africa. Secondly the DSP relies on dedicated educators, talented learners as well as engaged parents. Finally the school has a network of support from sponsors, DSP Alumni and robotics advocates to sustain and build robotics at the school. “Since I began walking, I have been playing with LEGO, yet I never thought that these robotics activities at the DSP would influence my life decisions so significantly” comments Heiko Kabutz, DSP Alumni studying engineering with focus on designing robots. In 2016 the Robotics Outreach Programme was launched where five partner schools were introduced to the world of robotics. 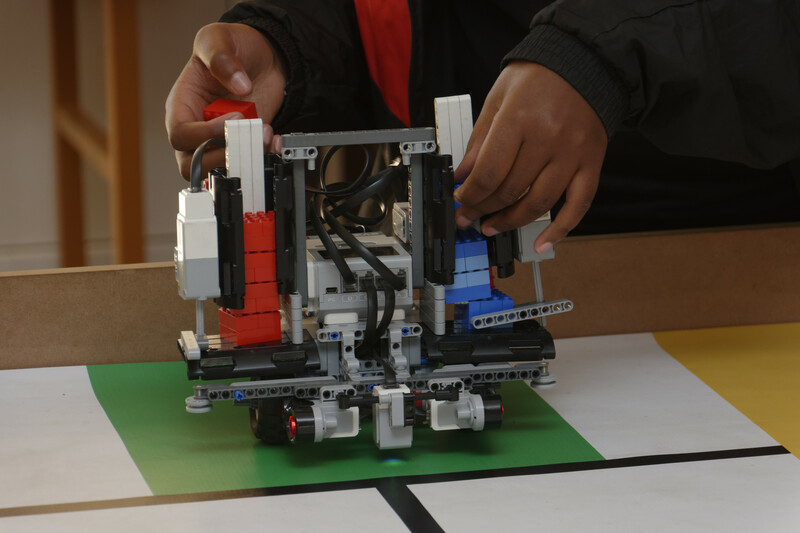 “The school makes its robotics programme available to learners of underprivileged communities in the Pretoria area and eventually beyond – empowering the next generation of Africans to invent their future” reports Warren Markley, Head of Robotics at the DSP. In support of these goals a new innovation, the introduction of Drone technology into the robotics programme has also been launched to equip and prepare our learners for the challenges of the modern workplace.